You can get involved in the Sun fantasy football action on the move by getting the Sun Fantasy Football app from the android or apple store. Select your team of 11 players from all the 20 Barclays Premier League teams right from the palm of your hand. With the Sun Fantasy Football app android, you will not need the scouting network of Arsene Wenger and Claudio Ranieri to keep track of the players on the move. With the Sun Fantasy Football app, you will have the opportunity of viewing the players’ stats, profiles and transfers all for free. In addition, you will also have an opportunity of accessing all the functions that are on the website while on the move as well as choosing the 4-5-1,4-3-3 or 4-4-2 formation. You can also use the football application later on during the season to make necessary transfers during the Sun football fantasy free transfer windows. Therefore, if you’ve decided to go for the most player as it stands: Jamie Verdy £8.5m but discover that Ighalo £6.52m is also performing as well, you can easily swap them while on the move. If you already have downloaded the application from any of our past dream team games, then you need not download it again. Just visit the google or apple store and update your application to get the latest improvement of our application. If not, you can still download the free android or iOS application and manage your Sun Fantasy Football team wherever you are and whenever you feel like. The Sun Fantasy Football app on Android is similar in appearance to the Suns website. It looks good and smaller on the device’s screen. The overall layout of the application is organized well and it is free of clutter, which makes navigation around the application and accessing its prime features easy. Having so many features and different arrays that you can organize your Sun Fantasy Football team, the application could have easily been overcrowded and impairing the navigation. The Sun Fantasy Football app has a colour scheme that is friendly to the eye. Moreover, the application is well designed with a quick access buttons which enables you access the various team management features. The answers provided below are meant to help you with any technical issue or concern that you will face while using our Sun Fantasy Football application. You shouldn’t experience any discrepancies between the terms and conditions and answers of the game, but generally, the term and conditions take priority. Is it possible to remove a player from the mini league? To remove a player from a mini league, you have to be the chairman or the administrator of the league. If you are one, you will be required to email the Sun Fantasy Football @dreamteamfc.com together with the pin of the mini league. Additionally, you will need to also add the name of the team that you will want removed. If you aren’t the chairman, please, you will be required to contact the chairman to contact Sun Fantasy Football on your behalf. Is it possible to remove myself from a mini league? Yes. All you have to do is to email the Sun Fantasy Football mini league as well as the your team name and the administration will do the rest for you. In case you will be using a different email address from the one you signed up with, you will have to state your email address. Why do I keep having problems when I’m accessing the live scoring? 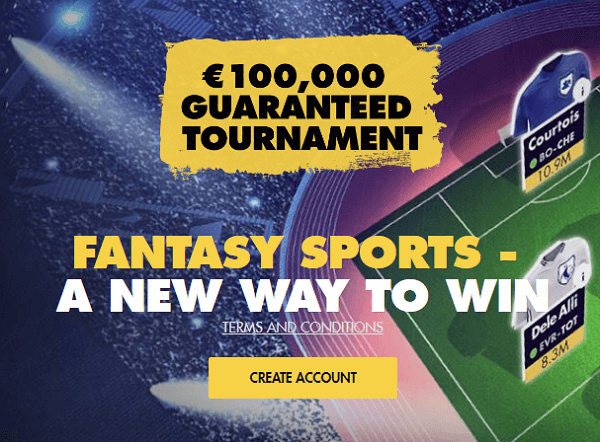 There are a number of reasons as to why you are experiencing problems when accessing the Sun Fantasy Football live scoring. You could maybe be having problems with your internet connectivity. Moreover, it could be a technical glitch from the Sun Fantasy Football as they sometimes have problems with their systems. Ensure that you are connected to the internet or contact the customer support center to help you. In the meantime, you can continue using the desktop version of the fantasy football website. What is Sun Fantasy’s Club Dream Team? Once you sign up with the Sun Fantasy, you will be automatically enrolled to a two month access of the Club Dream Team without having to pay even a single cent. 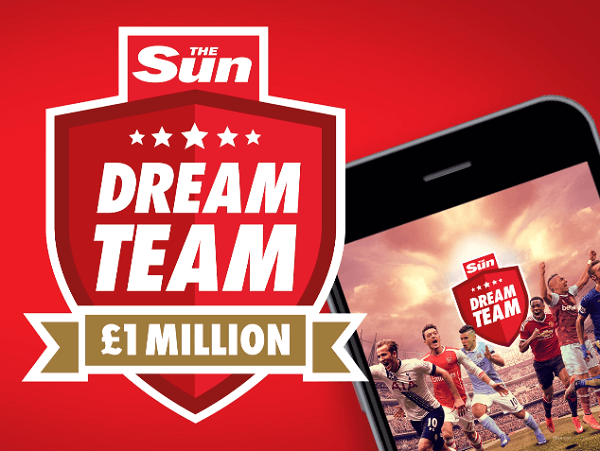 A £1 million in cash prizes: This offer is exclusive to the Club Dream Team members where there are 100 lucky winners every week, 500 winners every month and 7,000 winners across the season. Advanced Stats: In the Club Dream Team, you will be able to access all the tools necessary to pick and maintain the team that you’ve been dreaming of. A weekly knockout tournament: in the 11th Game week, you shall be enrolled to a 32 team knockout cup. At the end of the tournament, the winner shall have an opportunity of winning £50, and the looser will win £20. A monthly competition: each and every month, your team shall be automatically entered into a completion where the winner will be awarded with £6,000. The best manager during the month will also be awarded with £2,000 and all the other managers up to the 100th manager will walk away with £25. The live scores feature: As a Club Dream Team, you will have the opportunity of getting live scores. You will not have to wait anymore for your points to come in from the squad that you shall have selected. Moreover, you will have an opportunity of monitoring yourself if you have made any improvement on the league or dropped down the league. No Ads: In the Club Dream Team, there will be no ads as opposed to the regular play. Between the Sun Fantasy Football app android and iOS app, which is the best? 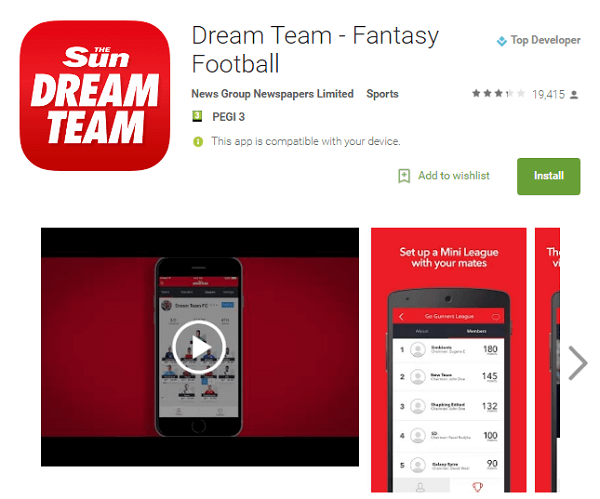 All the features that are in the Sun Fantasy Football app android are also found in the iOS application. The graphics, user interface and other notable features will all be the same.